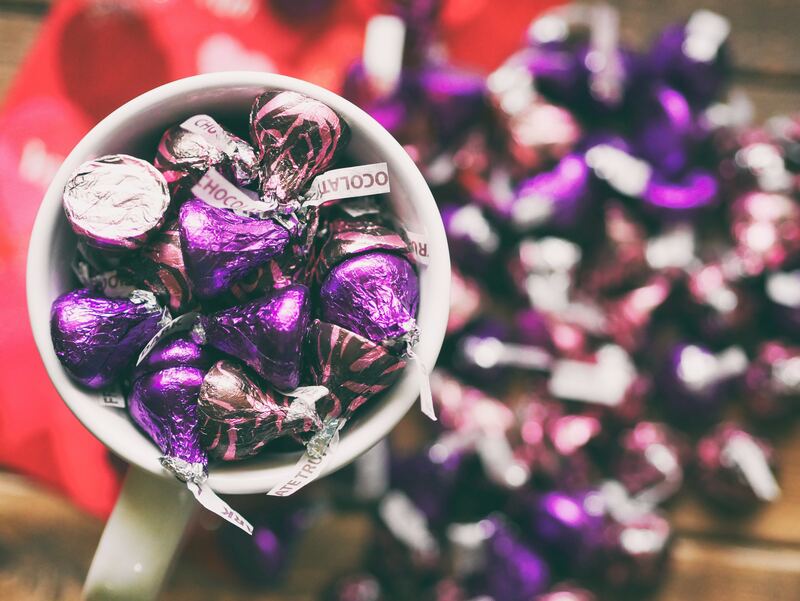 This Valentine’s Day, consumers are expected to spend $1.8 billion on candy. Valentine’s Day is about love, romance, and spending money, and a lot of it. According to the National Retail Federation, consumers are expected to spend more than $1.8 billion on candy this year alone. That’s a lot of chocolate -- or is it? Apparently, conversation hearts are America’s new favorite. 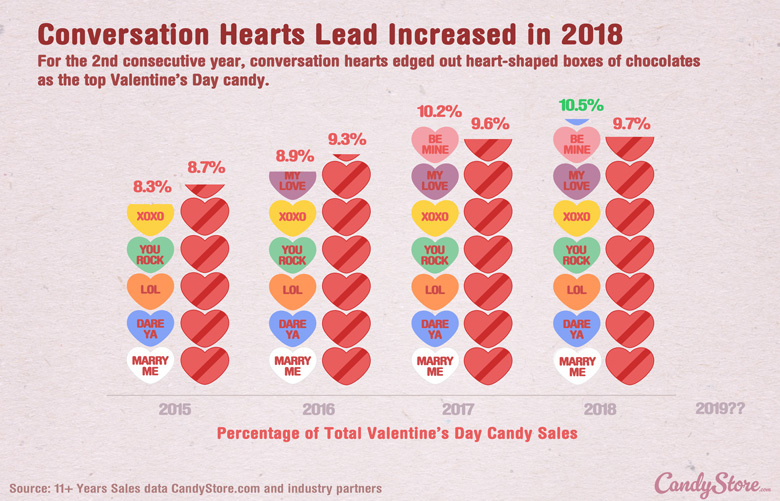 According to CandyStore.com, conversation hearts topped the charts for two consecutive years, ultimately beating the reigning champion of Valentine’s Day candy – the heart-shaped box of chocolate. But the researchers at CandyStore.com didn’t stop there. In hopes of finding out which candy was selling the most in each state, the team dug a little deeper. Check out the state-by-state list below to see which Valentine’s Day candy your state loves the most. Do you agree with the list above? If not, let us know your thoughts in the comment section below! Unfortunately, the ever-popular conversation hearts won't be available this year! Find out why here!